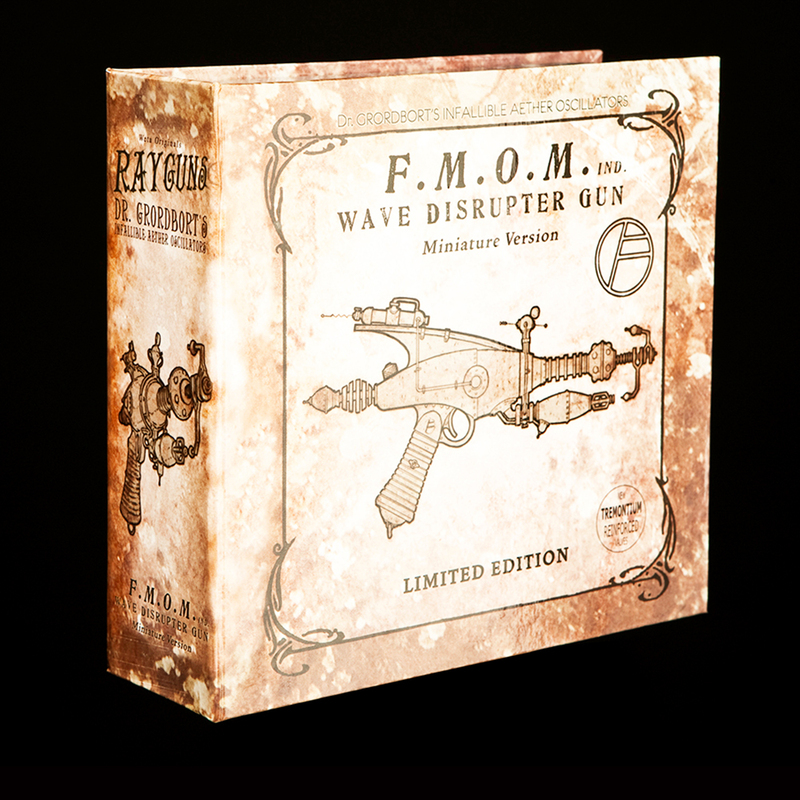 Once again, Dr. Grordbort's dextrous atomic manipulations have allowed the miniaturisation of a full-sized Aether Oscillator: the feared, and quite hefty, F.M.O.M Wave Disruptor Gun. At one quarter of its original scale, this finely detailed piece captures all the elaborate detail of its full-scale counterpart and, like those larger guns, is made in metal. 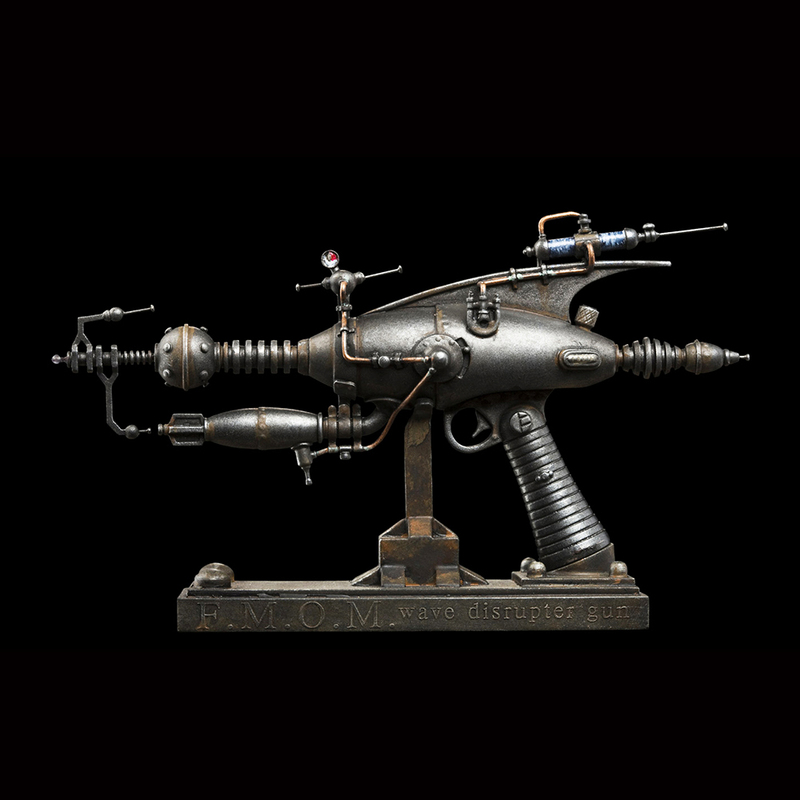 When it comes to unique and unusual collectibles, you can't beat the uber-cool rayguns from Weta.